Wildflowers from our yard. 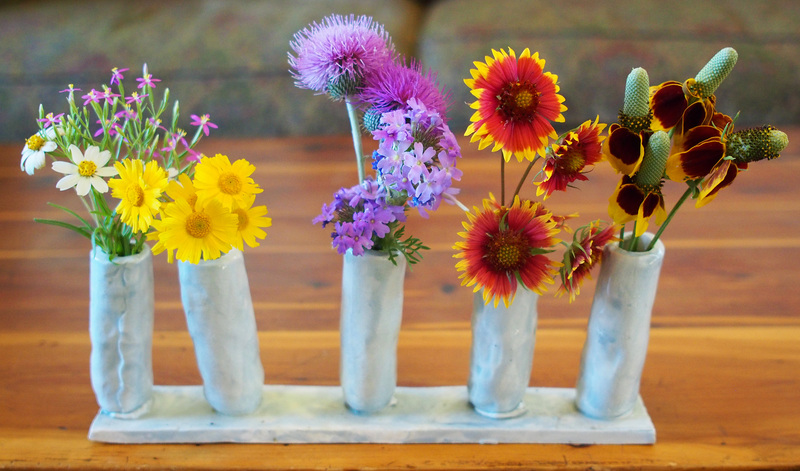 From left to right – Blackfoot daisy and Meadow Pink, Four-nerve daisy, Prairie Verbena and Texas Thistle, Gaillardia pulchella, and Ratibida columnifera – upright cone flower. ← Follow up on the mighty mystery vine.